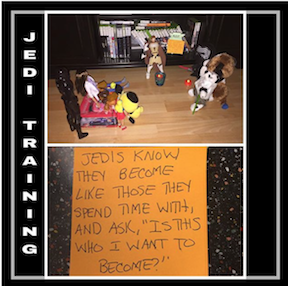 Jedi Training: You Are Who You Spend Time With. Mrs.Engel May 22, 2017 May 22, 2017 Jedi, Jedi Pup, Jedi training, Who is on your team? I wish to be like?